To inspire children and students to become future technologists and nurture the interest to use and invent technology. To cultivate the spirit of inquiry and nurture the passion to thrive in the fields of science, engineering and technology. To showcase the progress of the world’s technology and innovation. To promote the convergence of technology, industry and people. 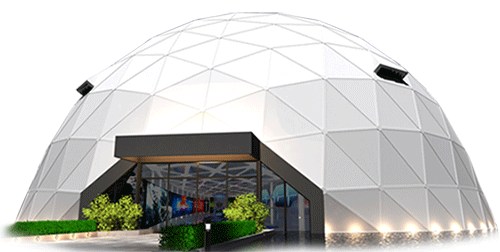 Why do we need Tech Dome Penang? We believe that learning is a lifelong journey of discovery and is not just limited to school lessons. Families, young adults and entrepreneurs are always looking for new ideas and stimulating and meaningful ways to spend their time. By creating Tech Dome Penang, we will offer visitors fun-filled learning and a place to share ideas and be inspired. For Penang and Malaysia to remain competitive in the global economy, we must continue to nurture and develop our ability to use and even invent technology. However, the 2011 Trends in International Mathematics and Science Study (TIMSS) showed that the standard of mathematics and science among Malaysian students have been dropping since 2003, and compared to all other countries, Malaysia is the country with the biggest and most drastic drop in scores from 1999 to 2011. According to the Ministry of Education, less and less students are taking up science at the STPM level. This shows that fewer students are interested in participating in the fields of science, engineering and technology. Tech Dome Penang aims to reverse this trend and will strive to cultivate curiosity and nurture the passion to thrive in these fields.